REMSO offers slag skimmer. It is used to rake the slag layer from the surface of molten metal. This reduces the metallurgical load. It is a hydraulically operated machine of sturdy construction for use in steel plants. It is designed to facilitate digging into the crust of hot metal and skim the slag out of the ladles etc. The designincorporates horizontal rake movement and a large bearing base for slew movement. 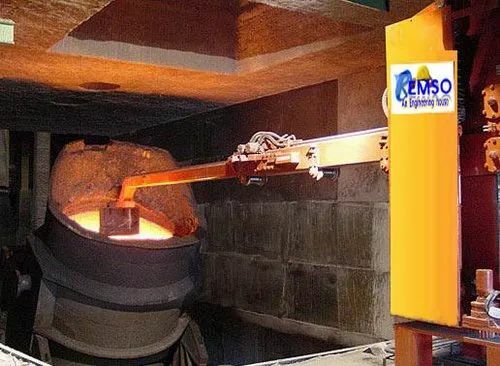 Remso manufacture Foundry Slag Skimmer for Steel, Iron and other Molten Metals to remove slag from a scrap melt furnace. The process involves skimming the slag, removing it through a door and dumping into a bucket as well as manipulating the scrap in the furnace to complete the melting process. The same process typically applies to melting steel, iron, copper, aluminium scrap and other metals. 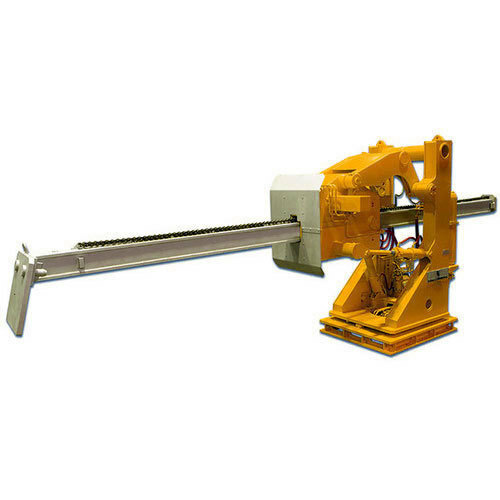 The slag skimmer is used to rake the slag layer from the surface of molten metal. It can be used on iron and steel ladles, aluminum holding furnaces and in other hot metal areas. This reduces the metallurgical load. It is a hydraulically operated machine of sturdy construction for use in steel plants. The linkages are designed to facilitate digging into the crust of hot metal and skim the slag out of the ladle. The design incorporates horizontal rake movement and a large bearing base for slew movement. 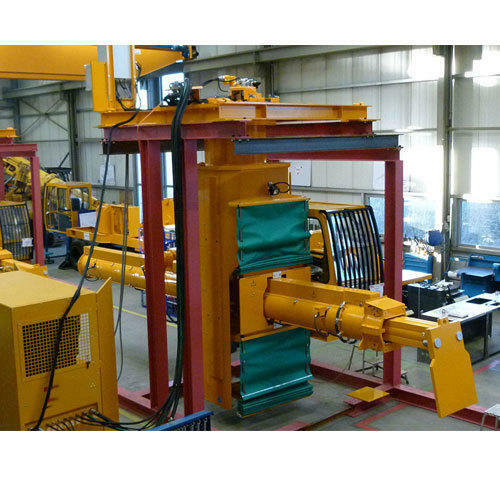 We also offer to our customers De Slagging Machine, which is manufactured in accordance with the industrial standards appreciated by our customers. Besides being applauded for a wonderful performance, it has also gained acclamation for precise designing and durability. We offer these products at market leading price. 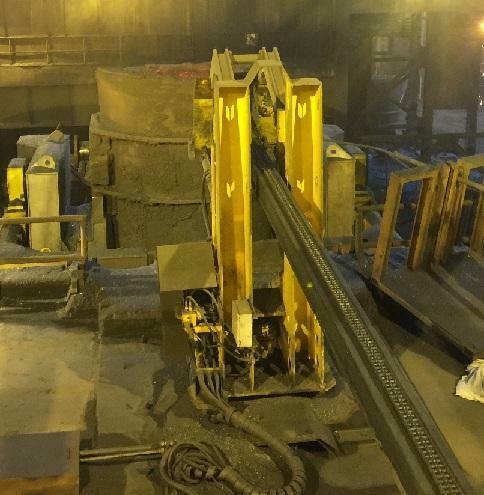 The Slag Raking Machine is used to rake the slag layer from the surface of molten metal. It can be used on iron and steel ladles, aluminum holding furnaces and in other hot metal areas. This reduces the metallurgical load. 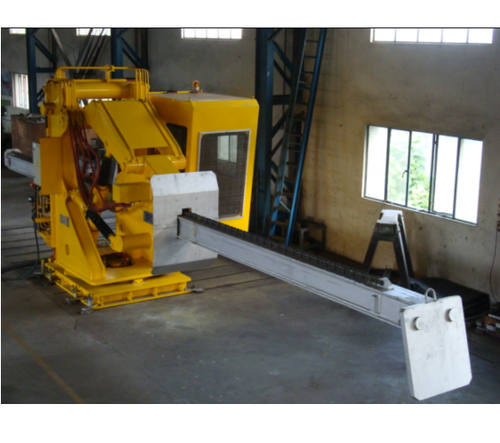 It is a hydraulically operated machine of sturdy construction for use in steel plants. The linkages are designed to facilitate digging into the crust of hot metal and skim the slag out of the ladle. Rotation or slew of the rake arm to the left and right of center and extended travel to the right to a parked position. There are various type of mounting arrangements depending on the customer's Hot Metal Shop layout and the area available for skimming. Looking for “Slag Raking Machine”?